Does the 2016 Ford Escape Price Compete with the 2016 CR-V? When Central Illinois drivers shop for a new family vehicle like the 2016 Ford Escape, price is one of the first specs on their minds. Does the Escape deliver on its price, or would you be better off with a competing crossover like the 2016 Honda CR-V, which is known for giving drivers a diverse selection of standard features, no upgrades required? Let’s take a look at what features you’ll find on the Escape and the CR-V so that you can determine which one of these vehicles offers a superior value. Honda i-MID interface: The i-MID infotainment interface includes steering wheel-mounted controls for easy use. Ford’s comparable interface, the MyFord Touch system, requires an upgrade on the Escape. Multi-angle rearview camera: Thanks to Honda’s initiative, many competing crossovers now have a rearview camera, but Honda takes things one step further. While the Escape has a standard rear camera, the CR-V has three different angles to give you superior peace of mind. Added smartphone integration: Both the CR-V and the Escape feature Bluetooth connectivity for phone and audio, but Honda takes your smartphone connectivity a bit further with SMS text messaging capabilities and Pandora Internet radio compatibility. Eco Assist and ECON button: The CR-V not only features Eco Assist, which helps coach you to greener driving, it also has the ECON button, which optimizes the engine for fuel economy over performance. 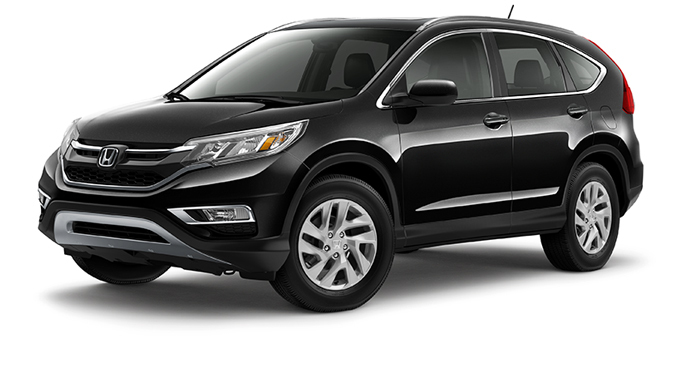 These are just four of the advantages of the CR-V; there are many more. We think that if you’re concerned about getting your money’s worth with the 2016 Ford Escape price, the solution is simple: Go with the CR-V.
We think it’s clear that the 2016 Honda CR-V has an edge in value over the 2016 Ford Escape’s price, but you need to experience it firsthand. Visit a Central Illinois Honda Dealer near you today to take a test drive of the new CR-V.
0 comment(s) so far on Does the 2016 Ford Escape Price Compete with the 2016 CR-V?